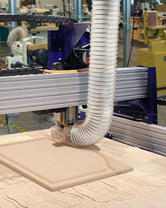 Flexaust features a medium weight polyurethane dust collection hose that is highly flexible, compressible, clear, and puncture resistant for use in large woodworking production facilities. 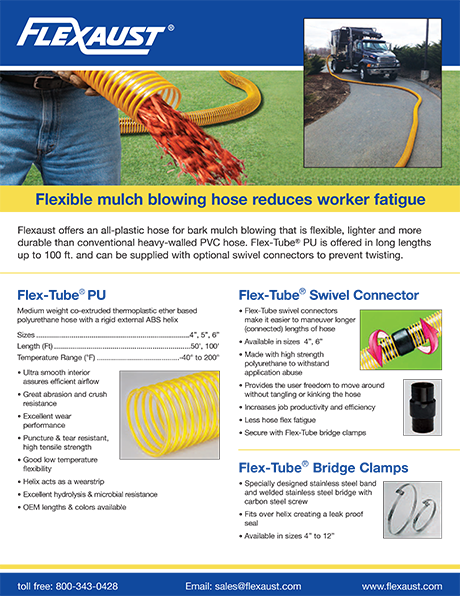 Flexaust Flx-Thane® MD Polyurethane Dust Collection Hose is highly flexible, compressible, and puncture resistant to stand up to the toughest wood chips and sawdust. 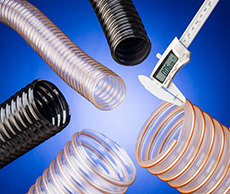 Clear for easy contents viewing, this robust polyurethane hose is reinforced with a bronze coated spring steel wire helix and is available in 2 to 24” (60 to 300 mm) I.D. 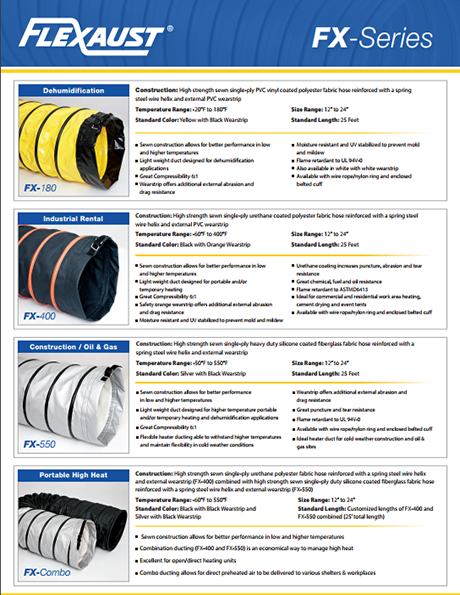 sizes in standard 25 and 50 ft. lengths. 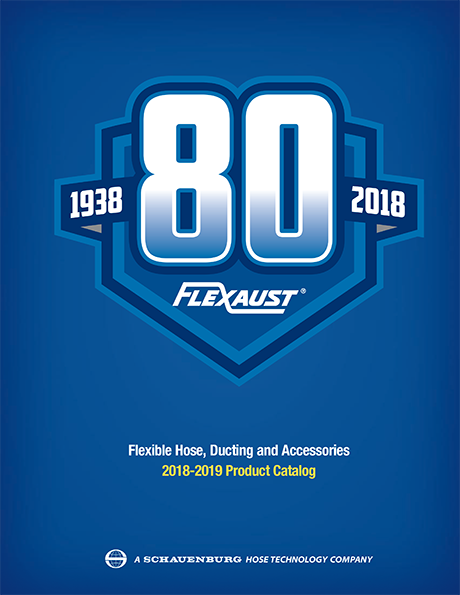 Featuring a .030” thick wall, Flexaust Flx-Thane® MD Polyurethane Dust Collection Hose comes in clear or black colors with plain ends or factory-installed 2” soft cuffs. Operating over a -65°F to 225°F range, this hose provides superior chemical resistance and has a 3:1 compression ratio. Static dissipative and flame retardant versions are also offered. 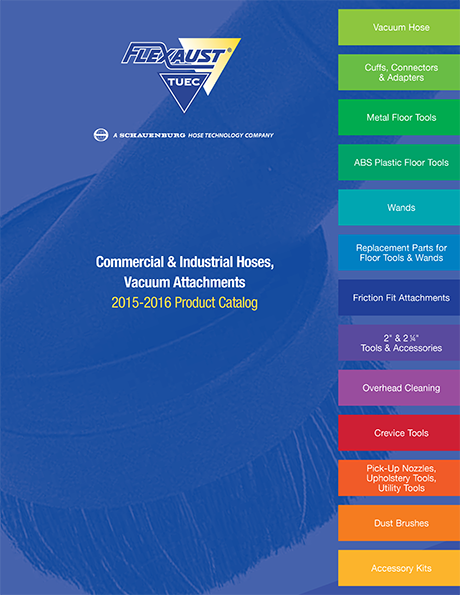 Flexaust Flx-Thane® MD Polyurethane Dust Collection Hoses is priced according to size and quantity. Samples and pricing are available upon request.